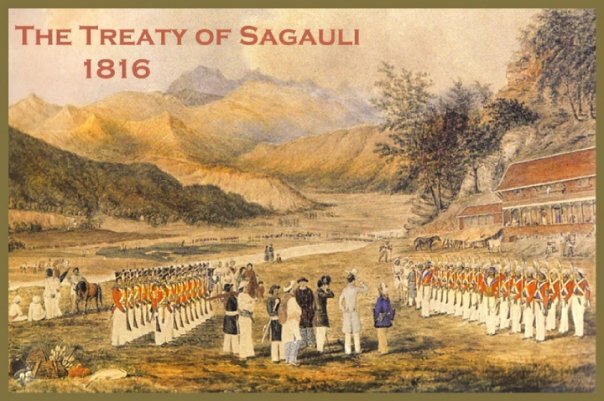 Not since the war with Tibet and subsequent Chinese reprisal during the time of Regent Bahadur Shah did Nepal see such a reversal of fortune culminating in the Treaty of Sugauli. 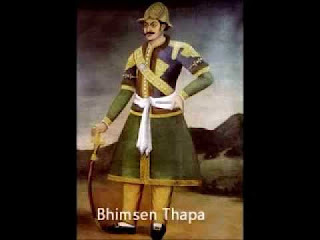 Prime Minister Bhimsen Thapa was compelled to sign the treaty with the British East India Company following the 1814-16 war. It was a colossal loss of face and fortune for the Gorkha kingdom since the conquest of Kathmandu Valley and the subsequent unification of Nepal. Almost one third of the country from the River Sutlej to River Mahakali in the west and from River Teesta to River Mechi in the east was now forfeited to the Company. A lesser person than Bhimsen Thapa would have seen the end of his days in power following such a cataclysmic turn of event but Bhimsen's hold on power was such that he survived. Regent Queen Lalit Tripura Sundari still reigned in the name of her grandson the minor King Rajendra after his father King Girvan Yuddha died at the age of nineteen on 20 November, 1816 A.D. 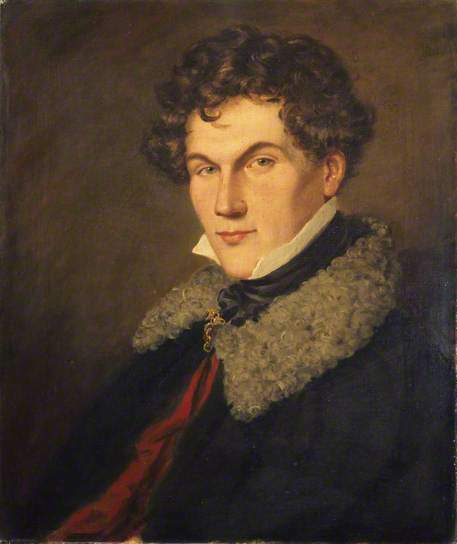 The Regent was Bhimsen's own niece. Regent Queen Lalit Tripura Sundari died of cholera in 1832 A.D. at a relatively young age of 38 years. The beginning of the end of Bhimsen Thapa's long reign had begun. The martial clans that gave rise to the House of Gorkha under the Shah monarchs were the Pande, Basnyat, Thapa, Chautariya (royal collateral) and Kunwar chettry casts of the hill peoples. One or the other of their forebears had shone in the War of Unification and King Prithivi Narayan Shah trusted them with his life. These were the people in command of the military and the civil administration. The unity among these clans had however frayed at the seams and all of them were fighting for supremacy. King Rajendra Bikram Shah was spooked and he blinked first. He finally had the guts to take matters in his own hands and admonish his senior queen. He withdrew his troops. Her ambitions thwarted Samrajya Luxmi decided to leave for Benaras but she contracted malaria in the Terai and came back to Kathmandu to die at a young age of just twenty seven. With the demise of the senior queen the Pande clan once again lost all their perks and privileges and Ranajang Pande lost his mind. The door was now open to Junior Queen Rajya Luxmi's long held ambition of having her own son Prince Ranendra succeed to the throne of Nepal. She would once again rely on the disgraced Thapa clan to realize her dream. Her first act was to recall Mathbar Singh Thapa from the Punjab to head the government. Mathabar Singh Thapa styled himself Prime Minister for the first time in Nepalese history as well as Commander-in-Chief and exacted revenge against all the courtiers who had contributed to Bhimsen Thapa's downfall. Many prominent courtiers were physically eliminated. He became more powerful than the King. 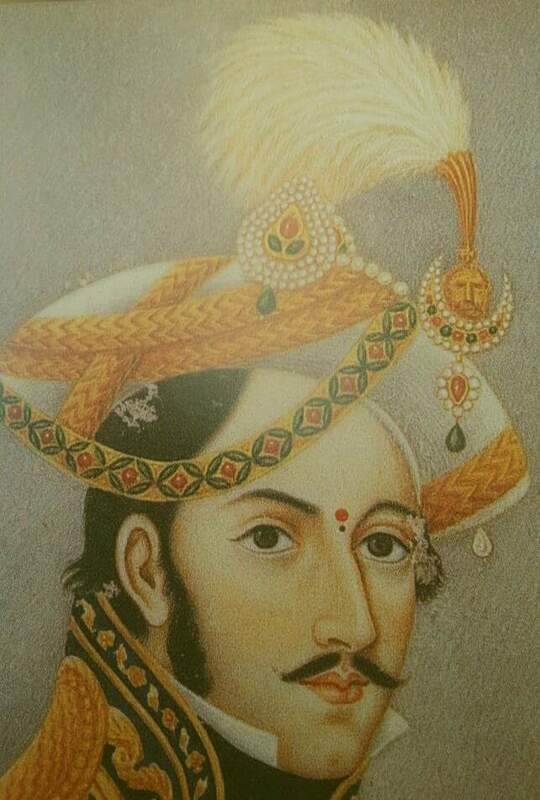 During his time in office he refused to do the bidding of Queen Rajya Luxmi to replace Crown Prince Surendra by her own son Prince Ranendra as the heir apparent to King Rajendra Bikram Shah. British Resident Henry Lawrence even warned the Nepalese palace that Mathabar was getting out of hand enlarging the army to pre 'Treaty of Sugauli' levels and posing a threat once again to the British Raj. 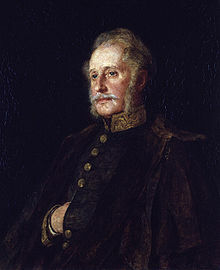 He was keeping the Governor General Lord Ellenborough informed on Nepalese irredentism. Mathabar Singh Thapa's elder sister was the Regent Queen of Nepal Lalit Tripura Sundari, now deceased, and his younger sister Ganesh Kumari Devi was married to Kaji Bal Narsingh Kunwar. The Kunwars were closely associated with the Shah monarchy from the time of unification of Nepal. Bal Narsingh had risen in prominence after the assassination of ex-king Rana Bahadur Shah by his half-brother Sher Bahadur Shah. It was Bal who had killed the assailant. Their son Bir Narsingh Kunwar was a Captain in the army and attached to Crown Prince Surendra. Mathabar had changed his favourite nephew's name to "Jung Bahadur" reflecting the time's martial inclinations. In desperation King Rajendra and Queen Rajya Luxmi would turn to Jung to check the ambition of Mathabar by hatching a plot to assassinate him. Queen Rajya Luxmi feigned sickness and summoned Mathabar Singh to Hanuman Dhoka Royal Palace. Against the warnings of his son and mother, it is said, he decided to go to the the palace fully confident of himself. As he entered the courtyard, shots were fired and Mathabar fell dead. His nephew Jung Bahadur had pulled the trigger, he later claimed under duress. Queen Rajya Luxmi was relieved. Now she would choose another more reliable person to do her bidding and fulfill her ambitions. She set her sights on the young Jung Bahadur. The meteoric rise of Jung had begun. Great writing once again, Subodh. Your words flow gently like a babbling brook from the beginning to the end. You are not only a great story teller, but your blogs rewrite history. These bring forth issues and facts that were mostly censored by the then regime, which encouraged insincere flattery. I hope you'll consider publishing a book. As always, a very interesting read. I knew that Tripura Sundari was Bhimsen's niece but didn't know that she was Mathbar Singh's sister. I think she is one of those once-prominent figures whom history has now forgotten. The tragedy is, almost everyone in Nepalese history is in risk of being forgotten or stigmatised. Very much liked the read. Thank you.. Currently, I am reading the history of Jung bahadur by by Buddhi lal bhandari. If only someone could make a serial out all this it would surpass Games of Throne!